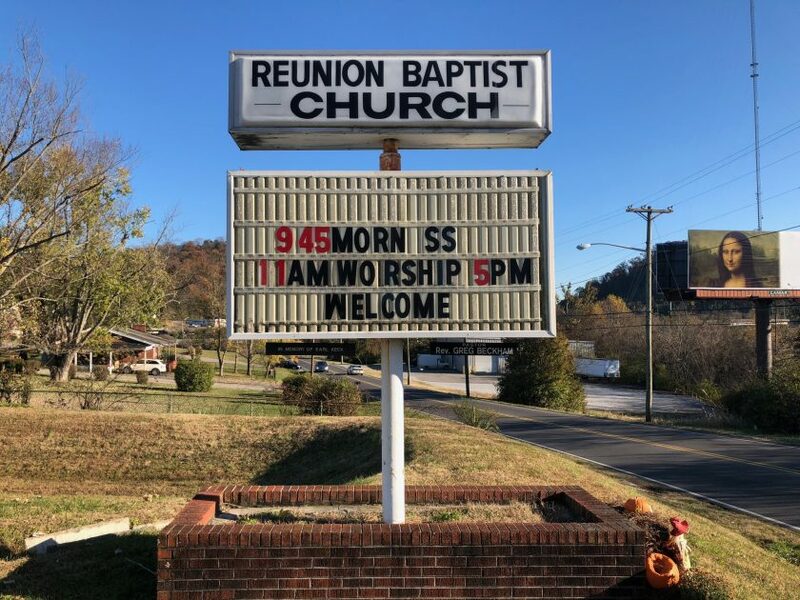 Reunion Baptist Church came to us looking for assistance with their exterior illuminated signage. We retrofitted the cabinet lighting with new LEDs, installed new faces and reader board and painted the cabinet. 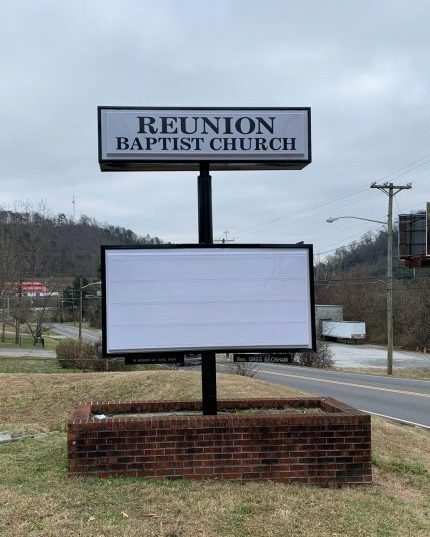 What a difference in the look of their exterior sign!